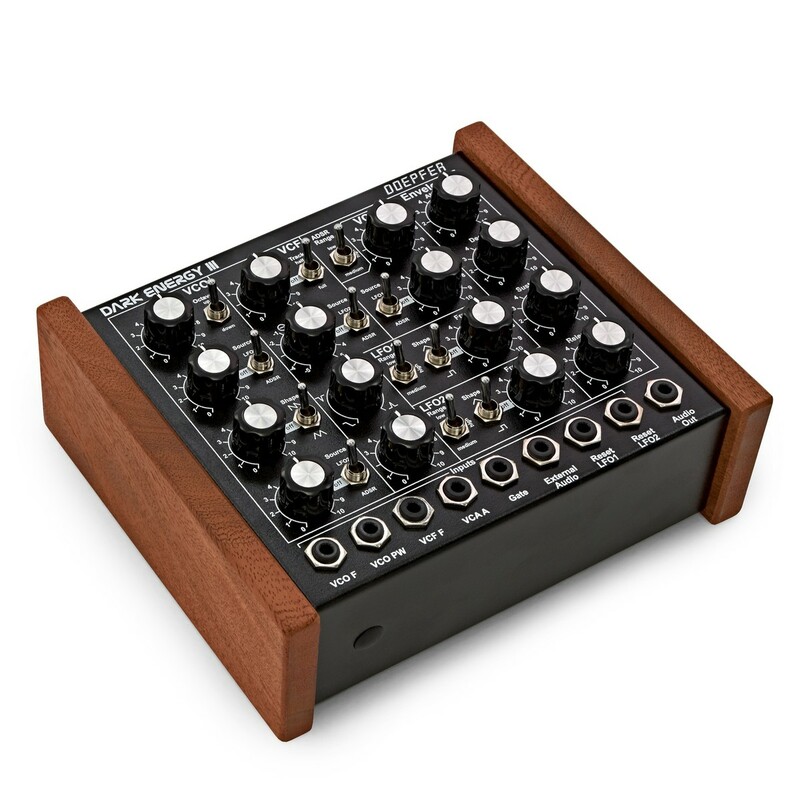 The Doepfer Dark Energy III is a fully analog, monophonic stand-alone synthesizer with USB and MIDI interface. The Doepfer Dark Energy III is a powerful synthesizer that features an improved VCO, additional triangle waveform, and a wider frequency range from its predecessor, offering huge sound shaping capabilities. It is completely analog, providing a warm, vintage synth sound. 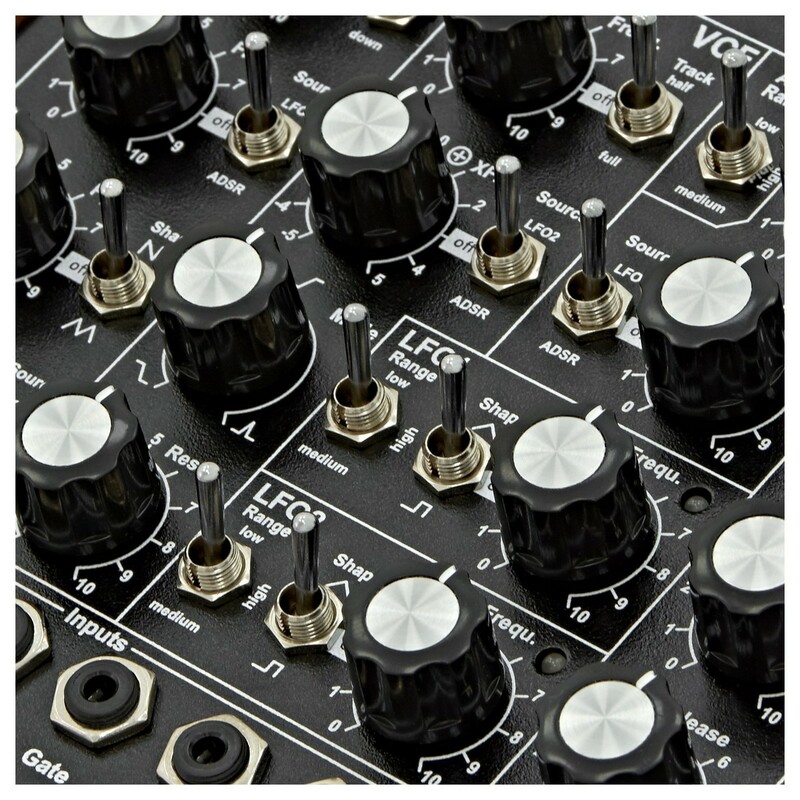 Equipped with a range of waveforms, resettable LFOs with multiple waveforms, improved ADSR, and a chunky filter, the Doepfer Dark Energy III is capable of producing everything from deep, rumbling basslines to screaming lead lines. 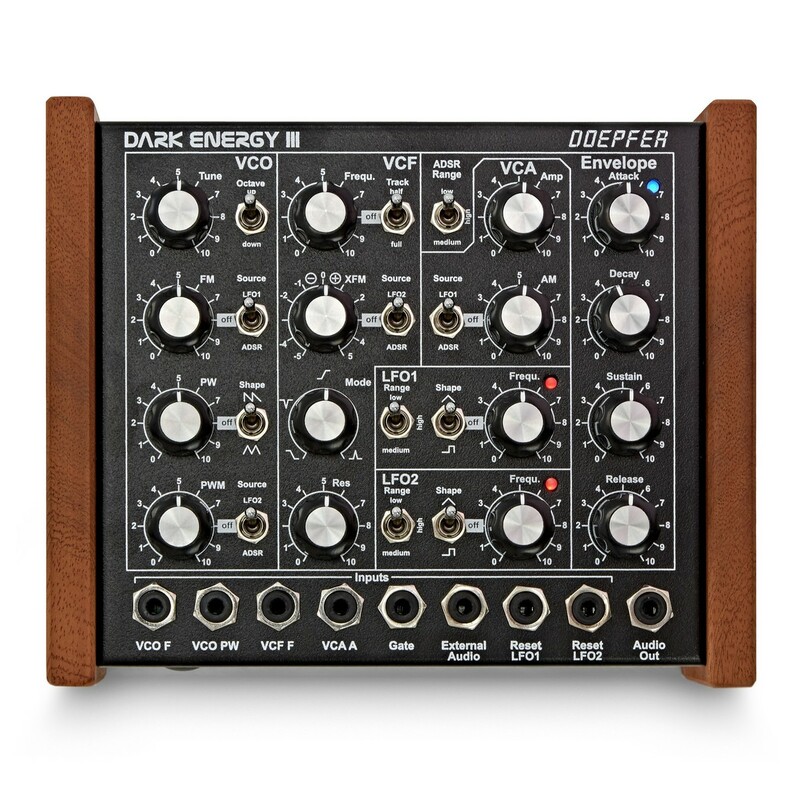 The Doepfer Dark Energy III offers a range of controls that allow you to create chunky dance-floor shaking basslines and huge lead lines. It offers a triangle waveform with a 10 octave frequency range for tuning. It also provides you with an FM input with selectable sources, allowing you to choose between LFO1 and ADSR for adding more harmonics to your synth sound. This allows you to create rasping basses and more. 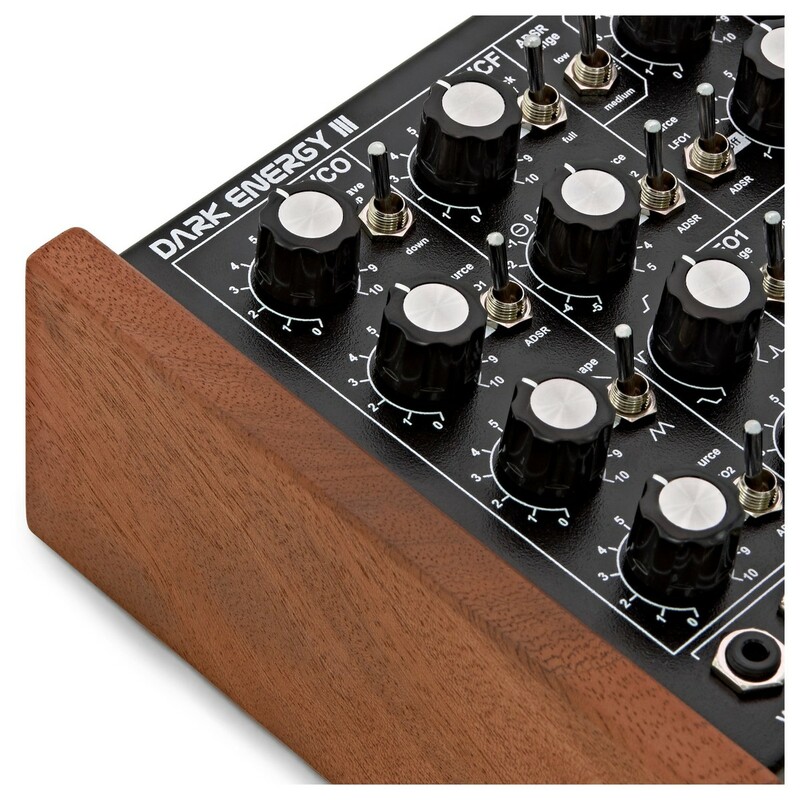 The Dark Energy III also offers pulse width modulation for thickening up your sounds. The source can be selectable between LFO2 and ADSR. The Dark Energy III still retains the favoured filter from the Dark Energy II. The Dark Energy III features a 12dB multimode voltage controlled filter that offers continuous mode control for low-pass, notch, band-pass, and high-pass. It offers manual frequency control and FM for further shaping your sound and tone. Additionally, the module provides resonance control that also features self-oscillation. 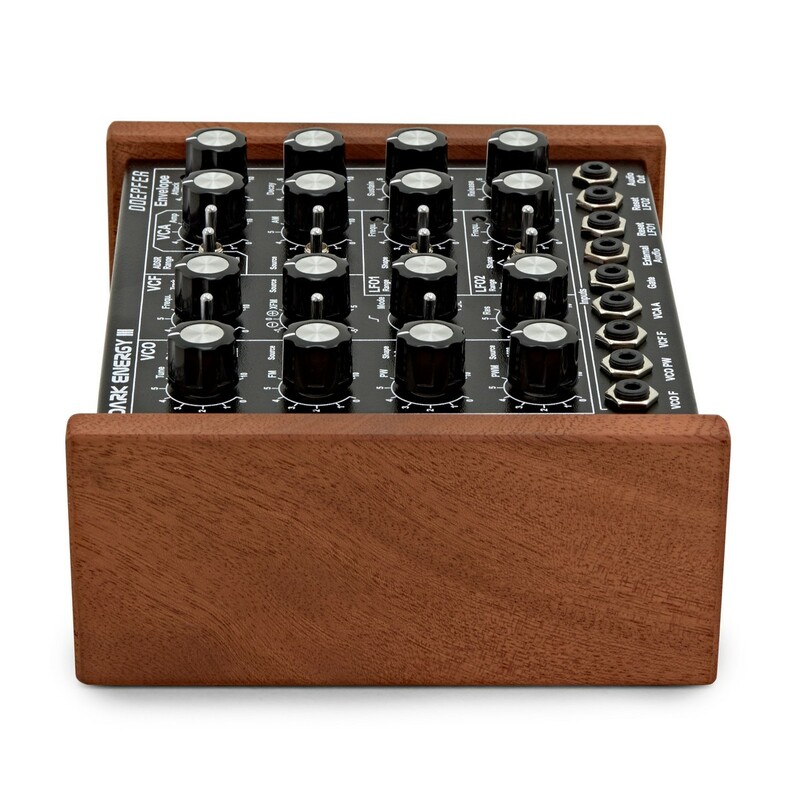 The standalone synthesizer provides 2 resettable LFOs for adding movement to your sound. There are potentiometers for adjusting the frequency, and switching its shape, allowing you to create a range of different sounds. 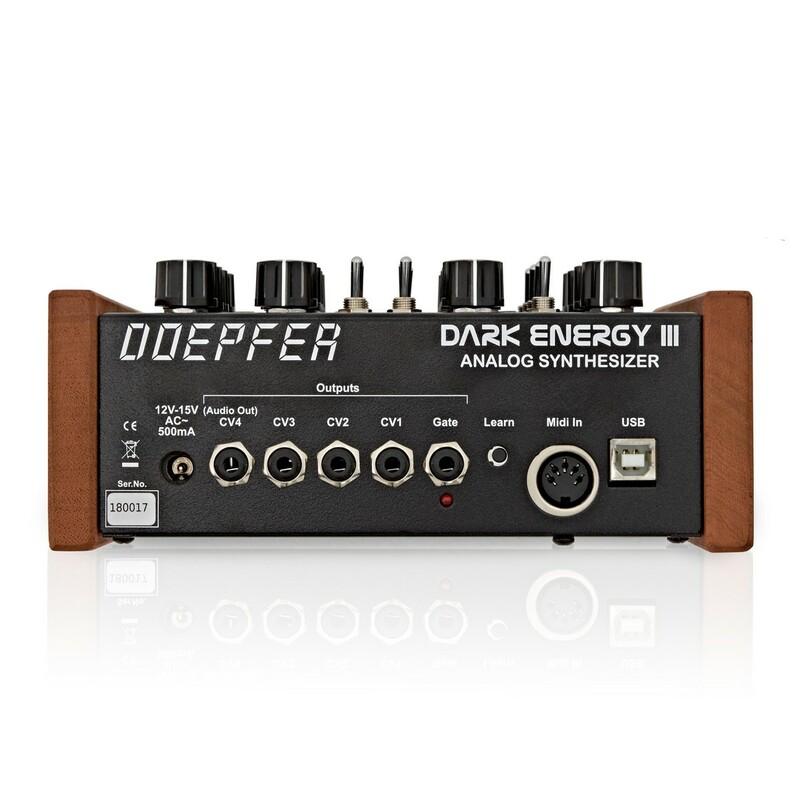 The Dark Energy III features a USB/MIDI interface. The sound generation and modulation sources are all completely analog. The USB/MIDI interface is the only part that features digital components. This comes with its advantages. The USB/MIDI interface allows the synthesizer to connect up to your favourite DAW, allowing you to use the chunky, analog sound within your computer production software. It can also connect up to a modern synthesizer and MIDI keyboards as well, allowing you to play melodies and use the sounds of the synthesizer.